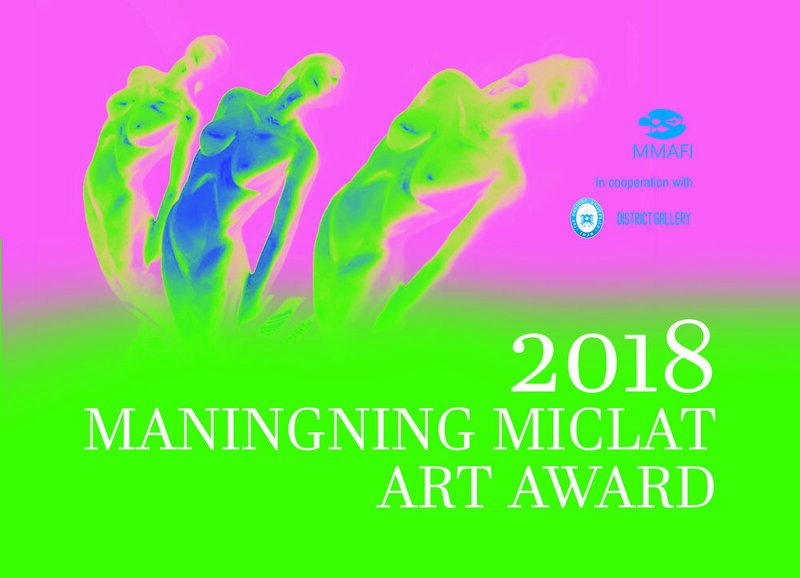 This years Maningning Miclat Art Award will be hosted by the Far Eastern University and District Gallery, Philippines. The fine art award is a platform, giving an opportunity to young emerging artists of 28 years old and below to showcase their talents to a wider audience. We aim to display artistic and cultural diversity to the Philippine art scene. We are looking for a variety of submissions which can range from two-dimensional works from paintings and mixed media. 1. The contest is open to all painters, age 28 and below. An artist can only submit one entry. 2. Entries may be done in oil, watercolor, pen and ink, acrylic, brush and ink, or mixed media. 3. Entries must be original and dated between 2017 and 2018. 4. Work which has been entered in another contest is not qualified for the competition. 5. Work which has been exhibited earlier may be entered in the contest. 6. Entries must be stretch-framed. The minimum size on the shortest side is 60 cm (24 in) and the maximum on the longest side is 120 cm (48 in). 7. 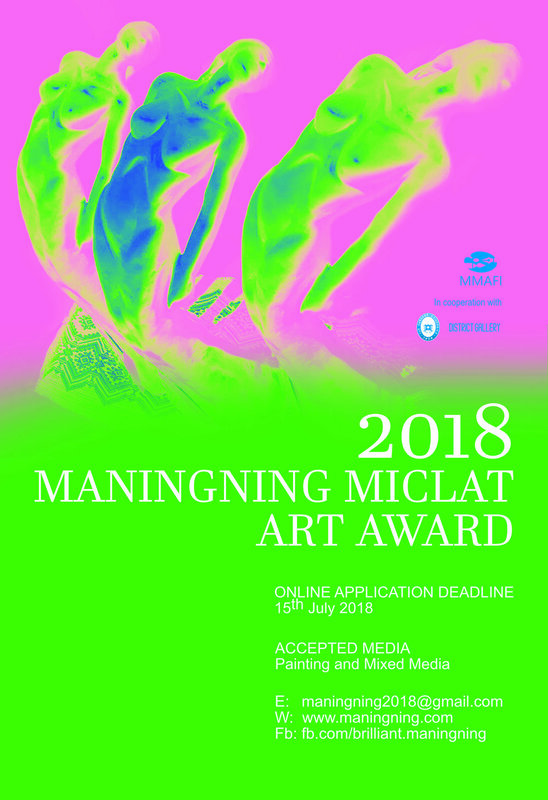 Preliminary submission of entries is online at maningning2018@gmail.com. Image files must be high-quality, high-definition, and in JPG format. Title, dimension, medium, and year of the artwork must be included in the message content. Passport photo, biodata, birth certificate, and entry form must be attached in email. 8. Preliminary online submission dates are April 15 to July 15. No online entries will be accepted after July 15, 2018. 9. Shortlisted entries will be posted on the Maningning Miclat Facebook page on August 1. 10. Actual artwor. k of shortlisted paintings must be submitted with a passport photo, biodata, copy of birth certificate, and notarized entry form to District Gallery, BIR District Office – Penthouse, 112 West Ave. Quezon City 1104 Philippines no later than August 15. The painter is responsible for transporting and submitting entries to District Gallery. The painter hereby releases District Gallery and the Maningning Miclat Art Foundation from any claims of damage to artwork due to storage or transport in connection with the competition. 11. Shortlisted entries will be unveiled at District Gallery from September 8 to September 22. The exhibit will tour to the Exhibit Hall of the Far Eastern University from September 24 to October 7. Awarding will be at FEU on September 28. All submitted artworks will be available for sale. 12. The top prize for 2018 to be chosen by the Board of Judges will be awarded as follows: A Julie Lluch Sculpture trophy, Php28,000.00, Miclat book collection, and a solo exhibit at District Gallery. 13. Entries not chosen by the Board of Judges must be claimed on October 7 from 8:00am to 5:00pm from FEU. 14. MMAFI is granted the right to use the name and photo of the artists and the entries for free in any broadcast, telecast, print, or electronic medium. 15. Forgery/Copying is anathema to the contest and MMAFI has the right of action against the artist, if it may be later on discovered that said person is not the creator or owner of the winning artwork. The foundation shall not be liable to any court action if a third-party files a case against the winner who forged the work of the said third party. 17. MMAFI has the sole right to designate the persons who shall constitute the Board of Judges. The decision of the Board of Judges shall be final.